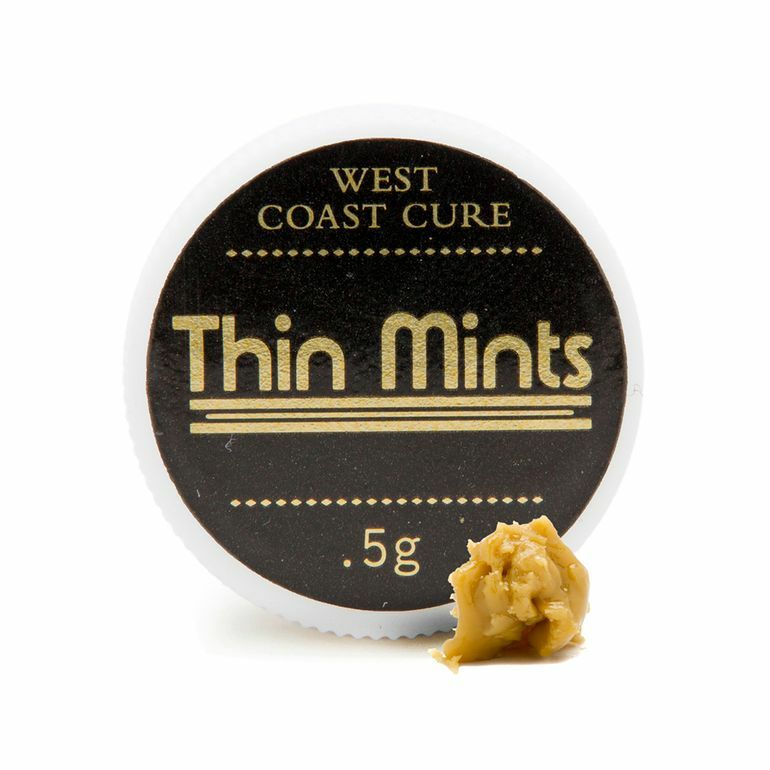 West Coast Cure offers up delectable flavor and mind-blowing potency with their Thin Mints Budder. A more minty phenotype of the famous GSC, this balanced cultivar boasts sweet flavors with a minty, kushy aroma wafting from its creamy texture. Whipped to perfection, Thin Mints energizes the mind while soothing any pain or nausea out of your system.